HP unveils its 100% Tablet, 100% Notebook, and 100% Android multi purpose gadget for your gaming, entertainment, and work needs. 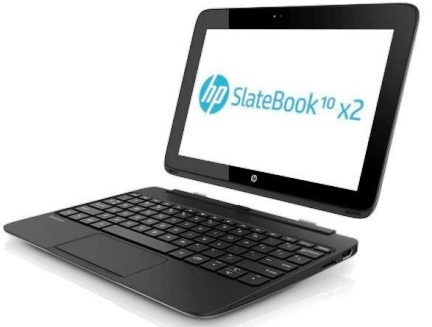 HP Slatebook X2 is also detachable for fast switching from notebook to tablet and vice versa. Powered by 1.8 GHz Nvidia's quad-core Tegra 4 processor, and huge 2GB of RAM, competing to the latest high-end gadgets, Slatebook X2 has also been configured to support full HD graphics with 1920 x 1200 pixels resolution combined with 224ppi pixel density. Additional highlights for HP Slatebook, the device also supports 720p recording for front camera. Running on Android 4.2.2 Jelly Bean, HP Slatebook X2 will be compatible to any apps and games in Playstore. Priced at Php25,990 (SRP) in the Philippines, and available now nationwide. For Php25,990 Suggested Retail Price, and available now in the Philippines at online stores and HP Kiosk nationwide. Overall, HP Slatebook X2 can be considered a powerful yet efficient tablet/notebook whatever you call it, with the help of GeForce GPU a 3D graphics rendering hardware, 3D gaming will be fully utilized as well as playing HD videos, and the NVIDIA Tegra processor is also a spec that can be found on high-end tablets like Google Nexus 7. The only thing that lacks on this tablet/notebook is a high resolution camera, it should be ranging from 5MP to 8MP.